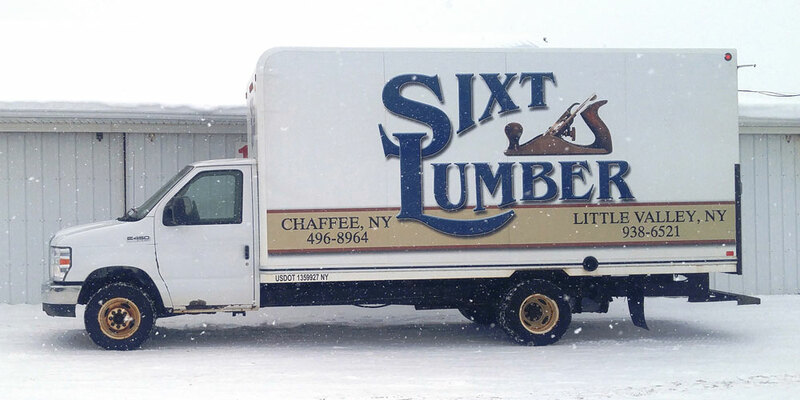 Save time and money – Let Sixt Lumber’s fleet of trucks deliver special orders and building material products directly to your jobsites, so there’s no need to interrupt work crews and lose time by making unnecessary trips to the lumberyard. Boom Trucks (with reach up to 60′) allow us to effortlessly deliver shingles to a roof top, or sheetrock to upper floors of homes and apartment buildings, and of course deliver heavy and large building materials more securely, efficiently, and safely. Moffett Forklifts mounted to our truck fleet, make deliveries more efficient and closer to your projects. At the delivery location, the driver has the ability to quickly unload the vehicle, travel over rough terrain or across developed landscape. 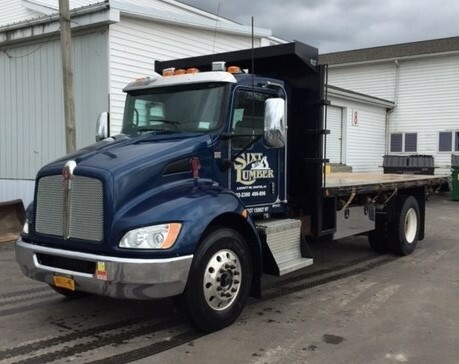 Flatbed Trucks make for efficient delivery of longer length materials, including dimensional lumber, engineered lumber, siding, trimboards, decking and more. 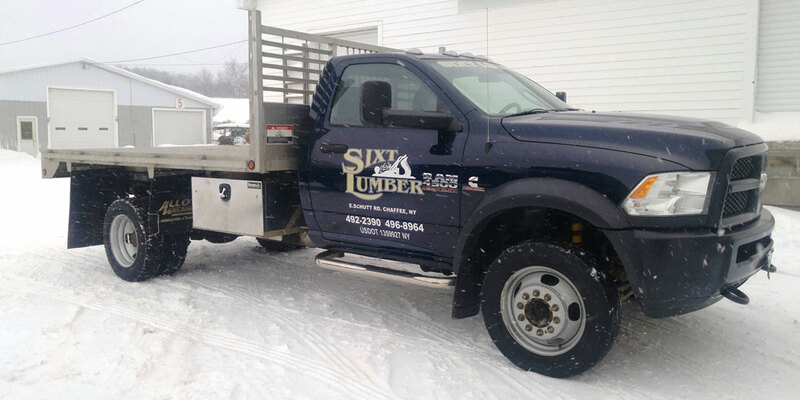 The 1 Ton Truck is a 4-wheel drive vehicle ideal for smaller jobsite deliveries. 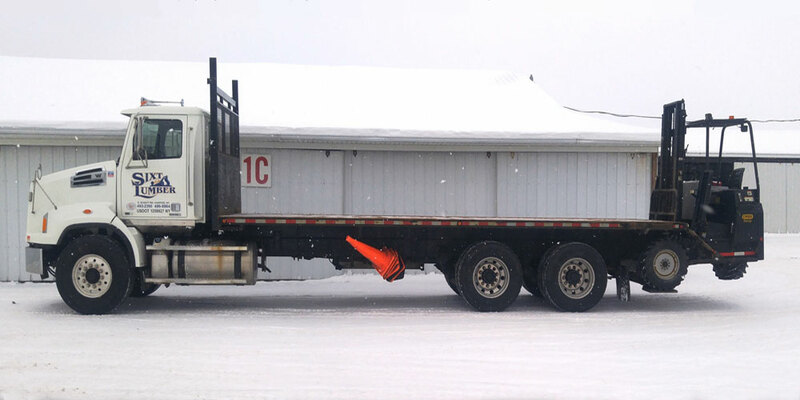 Closed Box Trucks are ideal for jobsite deliveries of windows, doors, mouldings and miscellaneous building materials.